Electric 4 All Inc. serves Los Angeles and the surrounding areas with a wide variety of high quality electrical service. We are skilled in the residential, commercial and industrial fields. No job is too big or too small for our company. What Can I Expect Out Of My Electrical Service With Electric 4 All, Inc.? Whether you are doing a remodel, an installation, or need a repair, on your Los Angeles home or property, our company is prepared to perform whatever electrical work you may need. Our wide variety of services include new electrical systems , new construction and installation, upgrades, renovations and expansions, alterations, power wiring, control wiring, maintenance, trouble shooting, testing, repair and so much more. If you are in need of any electrical service that is not advertised on our web site, just ask. Chances are, our skilled electricians can handle it. Of course we realize that service is not just about versatility. It’s also about attitude. We pride ourselves in being timely, courteous, professional, knowledgeable and affordable. These are all qualities you can count on when you call Electric 4 All Inc.
We all know that life in Los Angeles can be hectic. Why waste your time interviewing handy men who may or may not be able to handle the job? If you want the job done right the first time, with results you can count on, call Electric 4 All first. We guarantee to get your job completed, and up to code while being able to handle any unforeseen problems that may arise. 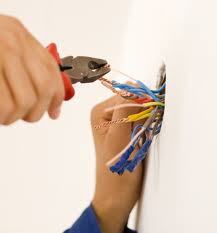 No matter the scope of work, let Electric 4 All Inc. be the Los Angeles electrician you call first. We provide free estimates and guarantees, as well as excellent service while taking particular regard to comprehend your accurate requirements. When you engage our company to complete work at your property or residence, you can be assured of personalized, comprehensive and caring electrical service designed to save you time, bills and headaches!